A home in Missouri is a valuable investment and needs to be protected with excellent home insurance. Whether you own a home on the lake, in the city, or on a large farm, The LaVigne Group can help you compare home insurance quotes from multiple top providers. To find the best rates you need to use an independent insurance agent to find a great deal on home insurance. When purchasing home insurance you need to consider how much your home is worth. What would it cost to replace the home if it was destroyed in a disaster? You also need to think about other buildings on the property. If you have a shed down by the lake or several barns on the farm, all of these structures should be covered by your home insurance. 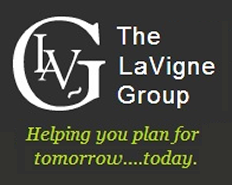 If you are working with a specific budget, our agents with The LaVigne Group can help compare quotes from all of the top insurance carriers to find a rate that works for you and your family. Home insurance also protects your personal possessions. The best way to determine how much coverage you need is to take an inventory of all of your items. You can go from room to room and take pictures or video of your belongings which is helpful if you need to make a claim. You will also need to inventory the items in the out buildings on your property. Independent agents with The LaVigne Group can help explain the difference between actual cash value and replacement cost home insurance. Many insurance providers also offer discounts for home insurance. If you have a security system or you are close to a hydrant, you may qualify for savings. Contact one of our independent agents today and compare quotes to find the best home insurance in Missouri.